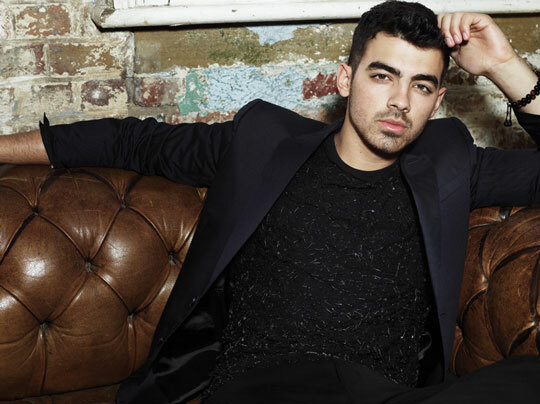 Interview: The 'Fastlife' of Joe Jonas. Joe Jonas sounds exhausted. The twenty-two-year-old is on the line from Toronto, Canada, where he's been allocated less than twenty-four hours to talk his way through today's promotional duties for his debut solo album 'Fastlife', before being whisked away to Los Angeles for more press. After six years of being swooned over as the middle Jonas [dreamboat] Brother, Joe began working on solo material early last year with pop/dance, hip-hop, techno and house music influences in mind. Joe says that he "wanted to make this album something a club DJ would listen to" and that the experience was "liberating... in a way, but also a challenge, to finally be able to say 100% of what I wanted in a song." He further explains: "I realized that music is my one opportunity I have to just get out there and say something that I’ve been holding back. A song is like a safe zone, and if I need to get something off my chest, music is what I turn to. So I’ve been forcing myself to write really honest lyrics, which is not always easy. But this time, there’s holding nothing back. This is what I’m all about now." When he wasn't busy writing or recording new songs, Joe would hunt for musical inspiration in Los Angeles and Miami night-clubs: "We’d go out and just experience what every club was about. We’d listen to certain DJs and see how they worked the crowd. It was so new to me. What was so cool was that the music and vibe would vary from city to city - Miami clubs and L.A. clubs are totally different. But with this project, I wanted to find a sound that was universal." Unsurprisingly, Joe credits his twenty-first birthday last year also as a main influence on the sound and direction of his solo debut: "It has a lot to do with coming of age. You’re older, you’re able to go out with your friends, kick back, dance, whatever you wanted... but just get out there and have a good time. And this is the music I associate with that feeling - it’s the sound that lifts me up." ...and a few words of wisdom from a musical icon never go astray either: "Being able to grow as an artist is really key. I actually got to meet Mick Fleetwood in Hawaii recently and the piece of advice he gave me was: ‘Take your fans on a journey, musically, and always test yourself by trying new stuff, so your fans ears will be accustomed hearing fresh things.' That really stuck with me when I was making this record. I thought, ‘I’m not going to be nervous about trying new things, and I tried to keep that in mind the whole time." COUP DE MAIN: I interviewed your 'JONAS' co-star Chelsea Kane [Staub] recently, who said that the songs you had played her from your solo album were amazing. Are you happy with the feedback that you’ve had so far from your friends and family? JOE JONAS: It’s been great! And to be able to have the album now finally done and to play for people - it’s been a great feeling and it’s taken some time but now I will be able to perform the music and play it for people. It was really cool being able to play Chelsea some of the music early on in the process - and not all the music that I played her made the record, but a good majority of it did. CDM: And your brother Nick covered ‘See No More’ last week, which is a great compliment! JOE: Yeah, he covered ‘See No More’ which was awesome - he played a little show out in L.A. and it made me really happy to see that he played the music. CDM: Do you think that you have a different approach to songwriting than your brothers? JOE: Yes, I think me and my brothers... we all collaborate individually differently on music, and that’s what keeps us all creatively, that works together well - we all are inspired by different things, so we have each other to come up with different ideas and relate with different things. I love working and writing with them. CDM: Was it scary at first writing lyrics as a solo artist? JOE: It was interesting... I had to push myself for a while to really be honest in the lyrics, because every time I would want to say something in a song I would go: "Oh I don’t know if I want to say that just yet... I don't know..." It’s a scary situation to go there, but luckily, I am very happy with the end result. CDM: Which song on 'Fastlife' was the hardest to write? JOE: I think the song called ‘Sorry’ - at that time in my life I ended a relationship a little early and I wanted that somebody back in my life. I was really, really trying to be honest when I wrote that song. CDM: You’ve said that you wanted to find a sound that was ‘universal’. Was that sort of your mission statement in regards to your solo career? JOE: Yeah it was, I’ve always been inspired by music from all over the world and so I just started working with artists and different writers that pushed me as an artist, because I really wanted to go and create a new sound for people to listen to. CDM: It sounds like you did quite a lot of research when writing the album - checking out DJs in Los Angeles and Miami. Was that quite important to you? JOE: Yeah! I wanted to listen to some of the stuff that DJs were doing and between recording me and my friends would hang out and go out and listen to some of the DJs. I’ve just really been inspired by people like Tiësto, Swedish House Mafia, Deadmau5 and some of the really incredible DJs and what they are doing - so to have stuff to listen to and be inspired by has always been incredible. CDM: Last night, you performed four songs from your solo album live for the first time. What was that like? JOE: The response was amazing, to see all the fans respond so positively - it was a dream come true. It’s interesting whenever you play new music, they just sit there and watch <laughs> so it was pretty cool to see them into it. CDM: What can you tell me about the song ‘Love Slayer’ - it seems like your fans are really excited for that one? JOE: ‘Love Slayer’ is a fun song about a girl that is in a club - or a girl that you meet - who is usually the bad girl that everyone wants to be with sometimes... and it’s <laughs> just one of those songs. CDM: Which songs on the album are you most excited for your fans to hear? JOE: I would have to say a song called ‘Kleptomaniac’, I’m excited for the fans to hear. CDM: Do you have a favourite song on the album? JOE: It changes all the time, but right now it’s got to be ‘Fastlife’, I love it. CDM: Why did you decide to name the album after that song? JOE: I felt like it just represented my album best, it was a fun, upbeat record and my music is... I like to have a good time in life and enjoy it even though it’s crazy busy - so that's why I named it 'Fastlife'. CDM: Last year you tweeted that you were in the studio with Robert Schwartzman [of Rooney]. Did you work on songs together for the album? JOE: When I first started working on the album he was one of the first producers and writers I worked with, he’s such an awesome guy and me and him are friends still - unfortunately it didn’t really work out for the album this time but the songs are still there so we might use them for something else later on. CDM: What was it like going to a Vampire Weekend show as a fan and then being invited to guest-star in their 'Giving Up The Gun' music video? JOE: Amazing! I’ve been a big fan of their music for a while and I’ve always really loved their music and the fact that they wanted me to be in their music video was so cool and we had such a great time that day we filmed it. CDM: I see that you’ve been loving Foster The People a lot lately... who knows, maybe they’ll be next? CDM: True or false - you’ll be opening on Britney Spears’ next tour? JOE: False, unfortunately. It would have been real cool but it didn’t work out this time but hopefully we’ll try to figure something out. CDM: I've seen you reply on Twitter to 'news' headlines like "Joe Jonas feels insecure about his thighs!" - when people create stories like that is that still crazy to you, or have you gotten used to it? JOE: I kind of laugh these days, I just laugh it off. I find it pretty funny when people make up rumours like that. CDM: This is normally the time when I ask you when you’ll be coming to visit New Zealand... but apparently you've already had secret adventures here? JOE: <laughs> I really hope to go to New Zealand [again] soon! I’ve been there once on vacation so I would love to go there to perform music!! CDM: What did you get up to when you were here? JOE: We went to Auckland and to Queenstown, so we were able to just travel around and to see some of the beautiful cities and it was really fantastic. CDM: True or false - there's a rumour that you have a best friend that lives in New Zealand? ...and with that, an overworked but appreciative Joe Jonas, is onto his next ten-minute call of the day. 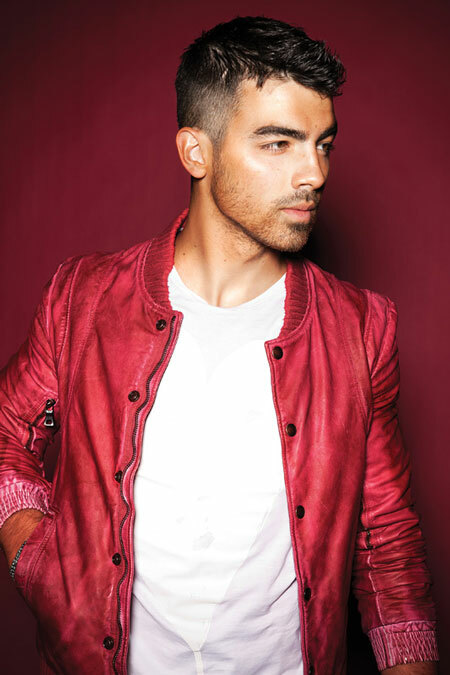 Joe Jonas' debut solo album 'Fastlife' - featuring the singles 'See No More' and 'Just In Love' - is out now! Click here to purchase. MusicThe Jonas Brothers officially announce new single 'Sucker'. MusicJonas Brothers tease Australia tour + release Director’s Cut of the 'Sucker' video. MusicThe Jonas Brothers take us behind the scenes of 'Sucker'. MusicMust-listen: The Jonas Brothers return with brand new single, ‘Sucker’. MusicJonas Brothers announce new album 'Happiness Begins'. MusicAre JONAS releasing a new song 'Sucker' this Friday? MusicJonas Brothers - 'Cool' music video. MusicJonas Brothers preview new song, 'Meet You In Paris'. MusicWatch: Jonas Brothers x The Late Late Show.